Welcome to this week's edition of Frugal Friday! I'm so glad you're here!! As always, I have some wonderful projects to share for this week's Frugal Round-up! Holy Criminy folks! 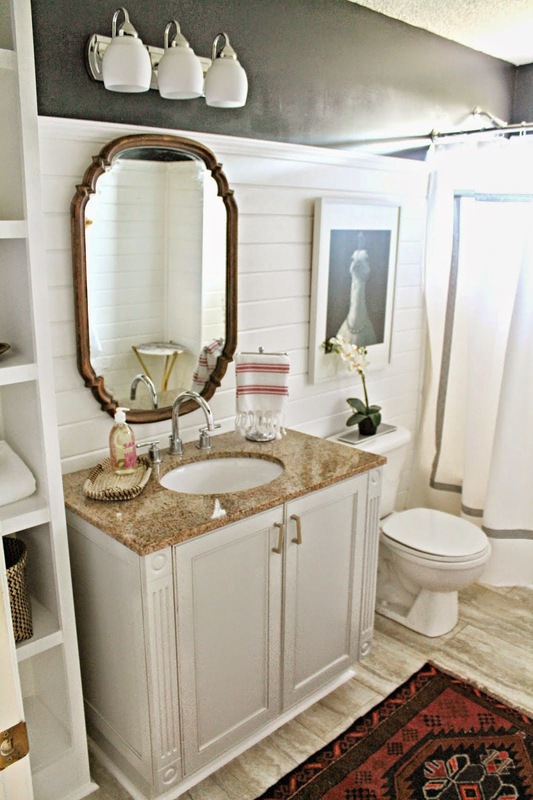 You have to check out the befores and afters of this guest bath reveal from Burlap and Lace. What a makeover! I'm in love. 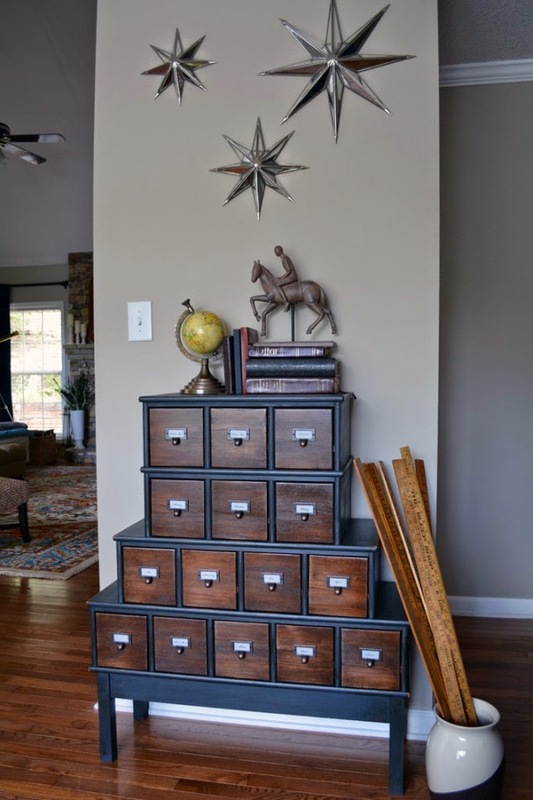 This apothecary style cabinet makeover is adorable! Hop on over to Let's Get Crafty to see the before and after! 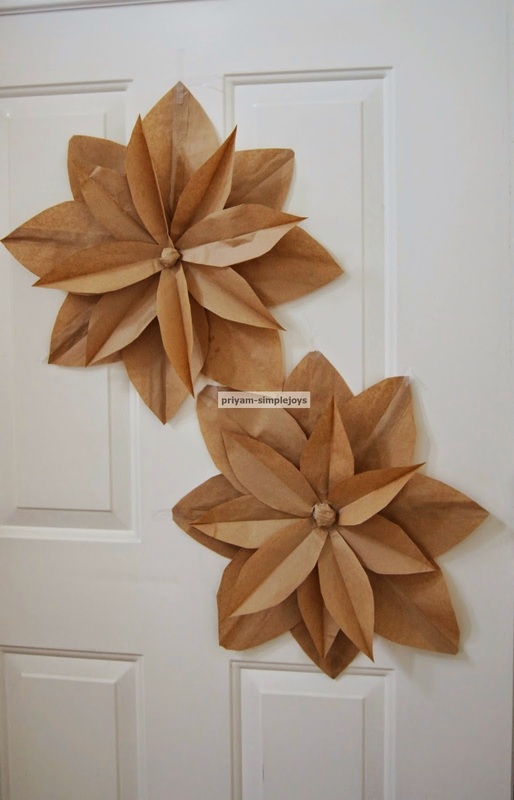 Ever wonder how to make these cute brown paper bag flowers? Simple Joys shows you how! Great features, especially that sweet guest bath! Thanks for hosting dear Wendy. Great features! Thanks so much for hosting. Hi! This is my first time linking up! Such great projects people link up over here :) About to go check 'em out! Thanks for hosting! Thanks for hosting. It's my first time linking up with frugal friday. Such a great collection of budget friendly ideas. Thanks for the party Wendy, great features! Enjoy your weekend! Thanks so much for another inspiring party, Wendy! That bathroom remodel feature is STUNNING! Great features this week Wendy. Thanks so much for hosting. Happy weekend!